This is one of Pam's favourite ways to capture the earthy flavour of rhubarb. It's a plant that contains very little pectin so the jam definitely requires an extra dose. This light, soft jam is good mixed with yoghurt or spooned over ice cream, or you can warm it and use to glaze a bread and butter pudding after baking. 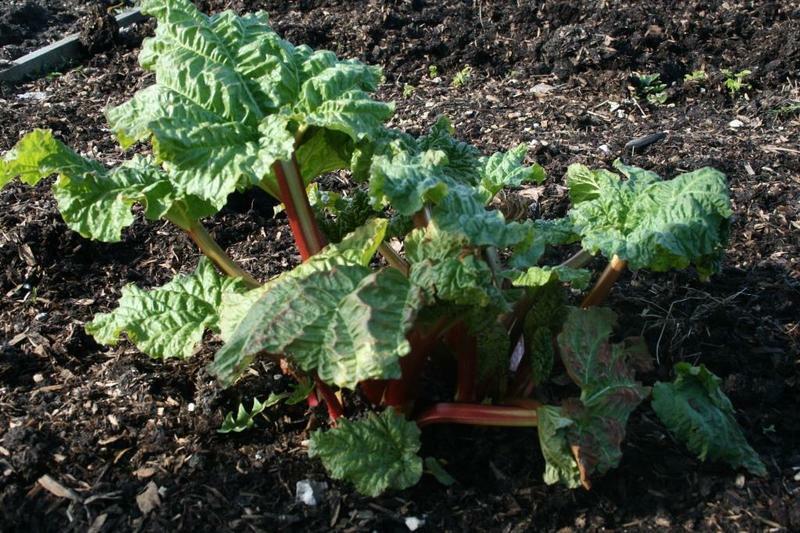 Wipe and trim the rhubarb and cut into 2–2.5cm chunks. Pour a layer of sugar into the bottom of a preserving pan, then add a layer of rhubarb. Repeat, continuing until all the sugar and rhubarb are used, finishing with a layer of sugar. Pour the orange juice over the top. Cover and leave for at least an hour or two – preferably overnight. This draws the juice from the rhubarb and the resulting syrup helps keep the rhubarb chunks whole when boiled. Gently bring the mixture to the boil, stirring carefully without crushing the rhubarb pieces. Boil rapidly for 5–6 minutes, then test for setting point. Remove from the heat and rest for 5 minutes before pouring into warm, sterilised jars. Seal immediately, use within 12 months. Add 100g chopped crystallised stem ginger to the fruit, omitting the orange juice. Sharper-tasting maincrop rhubarb can also be used for this recipe – try adding a few young angelica leaves or a handful of fragrant rose petals. Join “Pam the Jam” and “Liz the Pickle” for a day of seasonal jamming, jellying and pickling at the River Cottage Cookery School.